Xiaomi is all set to launch Redmi 6 series smartphone in China on June 12. 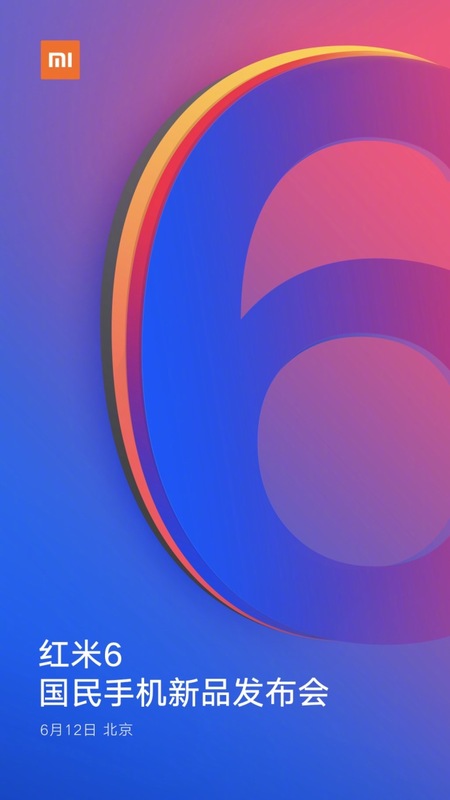 Xiaomi could launch Redmi 6 and Redmi 6A. Xiaomi Redmi 6 and Redmi 6A smartphones were spotted, with model numbers M1804C3DE, M1804C3CC, M1804C3CE. Xiaomi Redmi 6 could come with a 5.45-inch (720x1440 pixels) display with an 18:9 aspect ratio powered by an octa-core processor clocked at 2.0GHz, possibly the Snapdragon 625. Packed by a 3000mAh battery. Xiaomi smartphone with model number M1805D1SE was recently spotted on certification site TENAA. The Redmi 6 Plus or Redmi 6 Pro seemed to be a slightly bigger handset than the Redmi 6. It has a 5.84-inch full-HD+ display with 19:9 aspect ratio. It is powered by an octa-core processor clocked at 2GHz. 2GB/ 3GB/ 4GB RAM variants with 16GB/ 32GB/ 64GB inbuilt storage On Camera there will be a 12-megapixel primary sensor and a 5-megapixel front camera packed by 4000mAh Battery.